There are currently six “areas” to Domino Park - a dog run, a bocce ball and volleyball area, a fog bridge, water fountains, Tacocina (Danny Meyer’s new and very crowded taqueria) and a playground. Most of our time was spent checking out the playground. 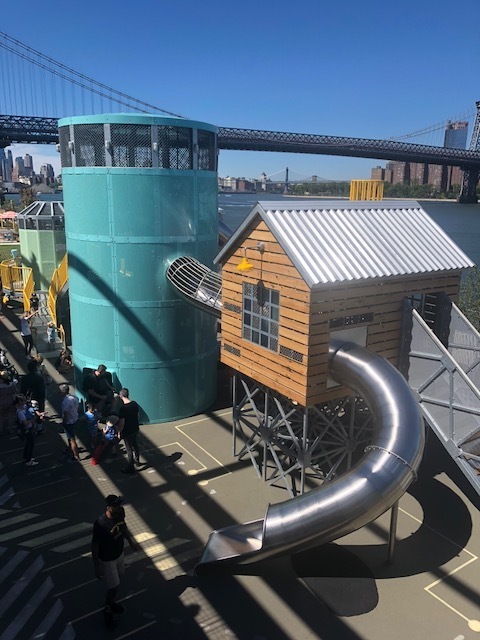 The playground adorably mimics the old Domino Sugar Refinery’s sugar production process and it features metal slides and tunnels, a super cool climbing feature within a wooden silo, a whole lot of other stuff to climb up and through and a good amount of free area to run around. One half of the play structure is meant for kids ages 2-5 and the other half for ages 5+, but the two areas coexist together in the same space. On a day hotter than ours, the water fountains are another part of the Park likely packed with kids of all ages. My girls unfortunately found the water a bit cold on our visit, but they still had a nice time taking quick runs through, and they really liked ducking into the drier spaces in between the fountains. At night the fountains are lit up and the pictures I’ve seen online are beautiful. Right outside the water fountains is a large stadium seating structure made of wood reclaimed from the Domino Sugar Refinery. It makes for a good spot for parents (and non-parent adults) to chill and for kids to (obviously) run around on and jump from step to step. That area and seating will also be where special events and performances at the Park go down. After the water fountains, I made the girls wait with me on a nearby bridge, promising them something cool would eventually happen. Their patience paid off once the entire bridge was covered in fog from misters down below. 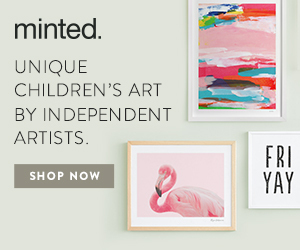 Cool little feature. From there we took a quick walk down to the dog run because, obviously DOGS. And then, it was onto lunch. 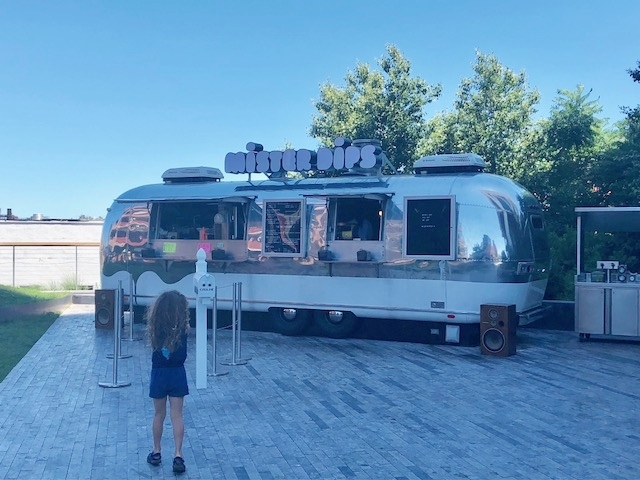 As I mentioned in the Five Places I Want To Go With Kids This Summer post, I've been eyeing a particular sundae that Mister Dips unveiled since I first saw it on Instagram a few months ago. So from Domino Park we headed to the William Vale Hotel for lunch at Mister Dips (about a 20 minute walk or 5 minute drive). We sat on the shaded patio, ate some solid burgers, chicken fingers and fries and contemplated our ice cream order. Mister Dips sits in a small park (Vale Park), a few floors above the William Vale’s lobby level. It has a nice space for kids to run around and some nice views of the city. 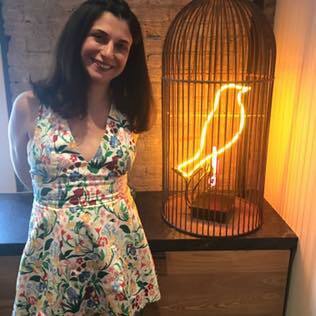 Late last summer, Mister Dip's hosted a free, family friendly Block Party, and I’m curious if that will happen again this September. Onto that ice cream. The sundae I’d been eyeing is called the Chocolate PBD and it’s a dark cocoa soft serve with salted peanut butter dip (PBD= peanut butter dip, I think). It’s super photogenic and it was tasty, but admittedly, I really don’t dig chocolate ice cream. I’d much prefer if it could have been done with vanilla but strangely, the Mister Dips vanilla ice cream is unable to be dipped due to its “different consistency.” My husband tried their other “new for summer 2018” offering, the Banana Split Dip, which was one half each of strawberry and banana soft serve topped with chocolate dip, nuts and a cherry and whipped cream in a rim around the bottom. Our girls made their own messy concoctions. All and all, it was a fun, summery, kid friendly way to spend a few hours in BK. Next time we’re in Williamsburg, I’d like to leave the kids behind and check out Grimm Ale’s brand spanking new taproom.